The recently formed Independent Press Standards Organisation (IPSO) acknowledged that the article caused offense, which was published days after 400 people died when a migrant boat capsized in the Mediterranean Sea last month. However IPSO said its Editor’s Code does not address issues of “taste and offence” and could only refer two complaints which raised points of accuracy with the Murdoch-owned Sun newspaper. Most complaints covered Clause 12 of the Editor’s Code, which focuses on discrimination. The regulator dismissed these complaints on the basis Hopkins did not mention individuals, but rather a group of people. “The concerns raised by the complainants that the article discriminated against migrants in general did not therefore raise a possible breach of Clause 12,” the IPSO said. Well well, Ipso, the big press corporations' new self-regulation system, *rejects* complaints about Katie Hopkins' migrants column. Other objections covered Clause 1, which relates to accuracy of reporting. Complainants argued Hopkins’ descriptions of migrants as “vagrants” and British towns with large immigrant populations as “festering sores” were inaccurate. The regulator also rejected complaints which covered Clause 5 (intrusion into grief or shock) on the basis that IPSO requires a complaint to come from those involved in the tragedy or their representatives. 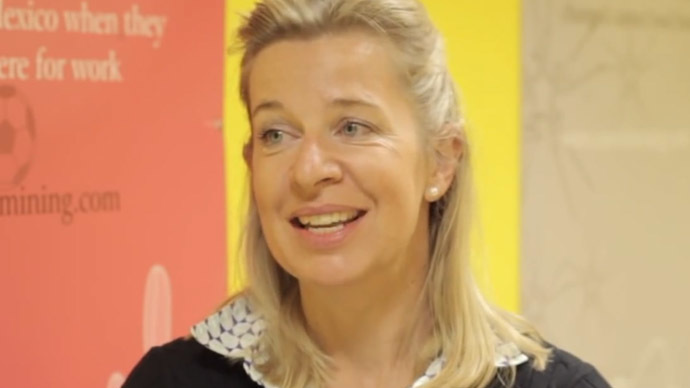 Hopkins’ column caused outrage after the businesswoman-turned-media personality said she was indifferent to the fate of migrants crossing the Mediterranean Sea to Europe. “Once gunships have driven them back to their shores, boats need to be confiscated and burned on a huge bonfire,” she wrote. More than 300,000 people have signed an online petition calling for The Sun to sack Hopkins in light of the comments. Her column was even condemned by the United Nations High Commissioner for Human Rights, who said her language resembled pro-genocide propaganda. A British law society has referred Hopkins’ comments to the International Criminal Court (ICC) on the grounds it incites racial hatred. “Immigrants do not deserve to be the scapegoat of this country's problems and it's about time we stopped making them it,” she added.